VENTURA, Calif. -- OF the more than 80,000 dams listed by the federal government, more than 26,000 pose high or significant safety hazards. Many no longer serve any real purpose. All have limited life spans. Only about 1,750 produce hydropower, according to the National Hydropower Association. In many cases, the benefits that dams have historically provided -- for water use, flood control and electricity -- can now be met more effectively without continuing to choke entire watersheds. But the work is far from done. I was disappointed to see the Energy Department release a report last week on the potential to develop new "sustainable" hydroelectric dams on rivers and streams across the country. The report follows President Obama's signing of two laws last year to encourage small hydro projects and revive nonproducing dams. New dams are a bad idea. We've glorified them for decades, but our pride in building these engineering marvels has often blinded us to the environmental damage they cause. The consequences run the length of the river and beyond. Our many complex attempts to work around these obstacles would make Rube Goldberg proud. 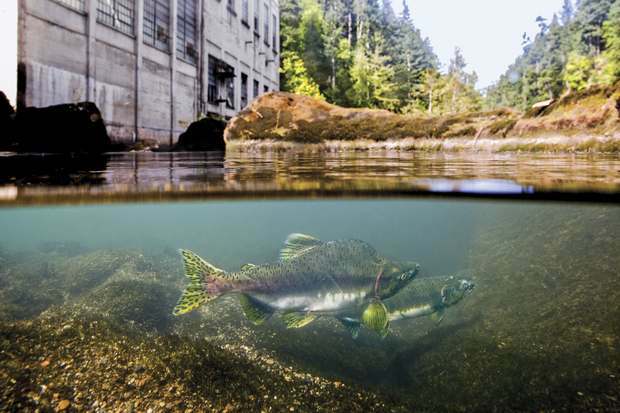 Interventions like fish elevators and trap-and-haul programs that truck fish around impoundments don't lead to true recovery for wild fish populations or reverse the other environmental problems caused by blocking a river's flow. I've been working to take down dams for most of my life. The idea, once considered crazy, is gaining momentum. We should seize it and push for the removal of the many dams with high costs and low or zero value. The environmental impacts are too enormous. Time and again, I've witnessed the celebration that comes with the removal of an unnecessary dam. After a river is restored and the fish have returned you never hear a single person say, "Gee, I wish we had our dam back."